The siesta in Spain and Italy allows businesses to close four hours in the afternoon to allow sleeping on the job. Management consultants are coming around to the idea that a long break at midday can lead to higher productivity. Even American companies are now providing single beds in the office for naps to improve efficiency when awake. We, too, love our leisure. The workaholic may be a hero in the Western culture, but is he as revered by local subordinates? Hardly. He is viewed as a poor planner who can’t allocate his eight hours properly and needs more time for remedial work. If he’s so good, why is he so slow? The drudge is even considered an anti-social creature bent on spoiling everybody else’s weekend to have company for his work habits. Anybody who works 24/7 is considered no different from the ancient slaves who built the pyramids and the hanging gardens of Babylon. This love of leisure has created a new branch of economics that glorifies idleness. “Vacation economics” promotes the plan to perk up domestic tourism by clustering holidays with weekends to extend break time. Other countries have discovered the advantage of movable holidays. So, why shouldn’t we look for longer break times too, and move the Wednesday Island closer to the weekend landmass? Thorstein Veblen born in 1857, was a sociologist who studied how business people handled off-days. He propounded the role of vacations, the state of not working, in his book, Theory of the Leisure Class. In this much-referenced work, Veblen coined such concepts as “vested interest” and “conspicuous consumption.” The latter discussed how the leisure class used unnecessary expenditures on fancy clothes and home adornments as symbols of status. This penchant to spend conspicuously and demonstrate the cost of what one can afford brazenly declares one’s net worth. This need to show off is understood by brand-name clothes and accessories that display their labels for all the peasants to see. 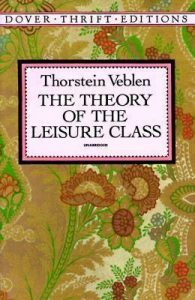 Veblen traced the rise of the leisure class to the introduction of private ownership. He cited societies like the Incas and ancient Rome which used slaves and soldiers for the heavy lifting to liberate a minority of the population to a leisure class for writing, philosophy, and coming up with new inventions. The need to be liberated from chores resonates with the Filipino whose inclination to change his passport is dampened by the prospect of shoveling snow from his driveway. His need for leisure is not driven by the desire to write or invent, but merely to expand his free time. Thus, vacations relate to wealth. Veblen states: “Conspicuous abstention from labor becomes the conventional mark of pecuniary achievement.” Veblen considered conspicuous leisure as a way to flaunt the ability to take vacations and not be bothered by the need to make money. The rich can take longer breaks. Vacation economics affirms that a person with disposable income will not allow himself to be trapped in the house for four straight days just reading and watching Silence of the Lambs one more time. He will be motivated to spend money for white-water rafting in Cagayan. Still those with disposable income may have other plans for extended weekends. They travel abroad and use up scarce foreign exchange or stay home and get into bonsai propagation. Or they go to office anyway. While extended holidays are as welcome as recess, they unintentionally shut down business for long periods more frequently. What is one to make of a culture that decides to be even more rested than the economy dictates? 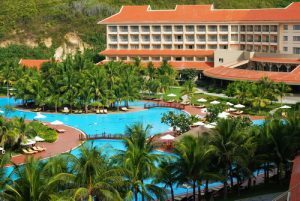 A vacation calls a temporary halt to the frenzied economic and political activity. With factories already closed and economic activity spiraling down, is there a need for declaring more vacations? Shouldn’t looking for work, rather than having longer breaks, be at the top of the national agenda? Vacation economics as a prescription for increasing consumption may be like injecting tranquilizers to a patient in coma. Break time provides an occasion for bonding. It is an escape valve from the tyrannical boss and the parade of bribable witnesses. It is a way to decompress and maintain sanity, difficult as life seems to be getting. No wonder ours is a country that perennially scores high in the happiness index. We just know how to have fun.